We place great importance on the teaching of reading. It is our philosophy that the reading, and the enjoyment of reading, opens the world to our children and is the key to success in all curriculum areas. A love of reading is one of the most powerful gifts that a child can develop. 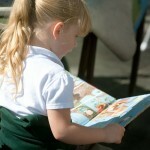 We expect all pupils at Perranporth School to have a regular reading routine. Children begin reading using a mixture of phonics leveled books and also age appropriate texts. They continue to move through the colour-banded scheme and can change their books when necessary. 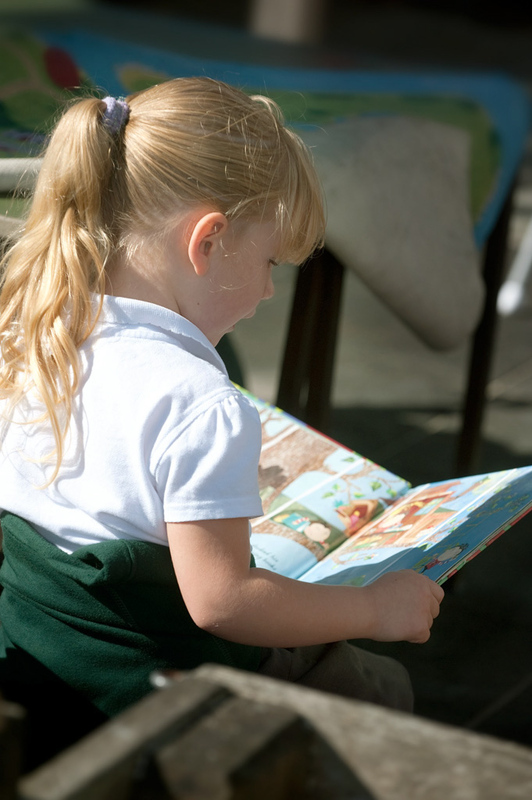 Reading is recorded in reading records and teachers monitor the comments to assess reading progress and to communicate with parents/carers about any issues raised whilst reading at home. Each class has a specified time to visit the school library. The library has a wide range of books for the children to choose from and is run by the year 6 librarians. We also have a whole school reading reward system to encou rage children to participate in regular home reading. All children at Perranporth are encouraged to read daily at home and to record this in their reading record. This year we have launched our Ultimate Bookworm Reading Challenge. To participate, all children need to do is simply read regularly and record each significant read with parents/carers commenting and dating after each reading session. Each significant number of reads then results in a special badge that children earn. When children receive a badge they receive a special mention in assembly. This year to earn some badges children will also need to complete specific challenges the first challenge is a book review and 125 reads to receive the bronze badge. The reward system works as follows:10 reads= White Bookworm, 30 reads= Red Bookworm, 50 reads= Orange Bookworm, 100 reads= Yellow Bookworm, 125 reads + a book review= Bronze Bookworm, 175 reads + two books from 100 best children’s books= Silver Bookworm, 200 reads + a book that a member of your family read when they were a child= Gold Bookworm, 250 reads + a classic (KS2) + a book written by a recommended author = Perranporth Ultimate Bookworm. Have you got what it takes to become an ultimate bookworm? Children in KS1 and KS2 also enjoy a daily Book Club session. They take part in specific activities to improve their reading skills. Over the year they will explore a range of genres and develop confidence in using a range of reading strategies. 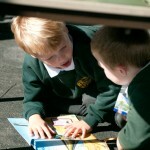 In KS2 children take part in reciprocal reading as one of their reading activities. 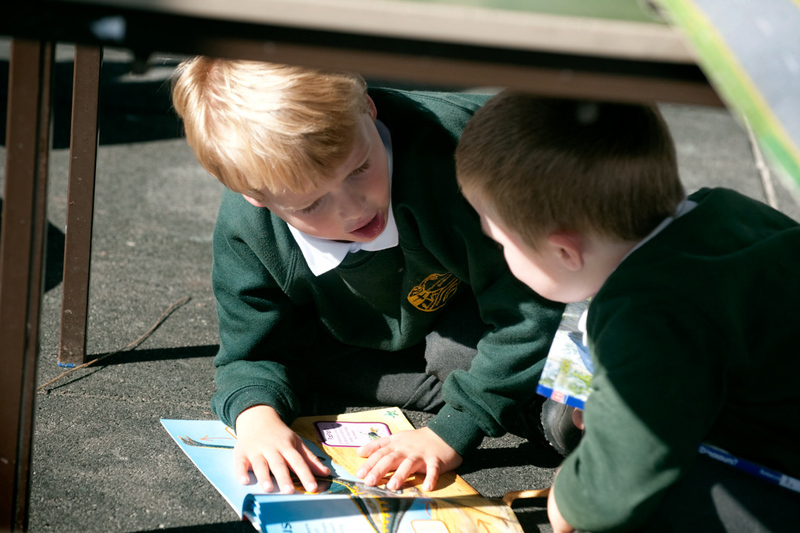 Reciprocal reading strategies encourage children to develop the skills that effective readers and learners do automatically: summarise, question, clarify, predict and respond to what they are reading. At Perranporth School, The Letters and Sounds programme is used for the teaching of phonics. Daily sessions are taught in EYFS and KS1 through a mixed approach supported by Giant Phonics and Jolly Phonics resources. We ensure children apply phonic knowledge and skills as their first approach to reading and spelling. Children are taught the common exception words and tricky words to help to aid their reading and spelling fluency. Click here to see our parent’s guide video on how we te ach phonics at Perranporth School. CLICK HERE to see detailed information about how we teach our phonics and how you can support phonics at home. Children are provided with opportunities to gain confidence in speaking individually, in small groups and through class based activities across the curriculum. Through these opportunities children explain, explore and develop their skills for different purposes and audiences. Children are encouraged to develop effective communication skills in readiness for later life. We aim for all of our children to experience a wide variety of writing genres. First-hand experience, films, books, newspapers and imagination are used to help children create their own writing. Carefully planned regular writing opportunities allow pupils to develop their writing stamina. Through these opportunities children are also taught how to draft and evaluate their writing. Children in KS1 and KS2 complete independent writing tasks regularly. From these independent pieces of writing teachers are then able to provide specific next steps for each child to achieve in their future writing. At Perranporth School we enhance pupil’s vocabulary through opportunities that arise naturally from their reading and writing. Pupils are taught how to work out and clarify the meaning of unknown words and words with more than one meaning. New words and phrases are introduced regularly and children are challenged to experiment with using these in their own writing. Children across KS1 and KS2 use cursive handwriting. Handwriting is taught in specific short sessions throughout the week however neat handwriting is promoted and valued at all times. Joining is introduced in year 2 and in KS2 once children are able to join fluently they begin to write in pen rather than pencil. Children in KS1 and KS2 take home spellings to learn weekly and are tested on them the following week. Spellings are set from the National Curriculum and children are taught the relevant spelling objectives and to investigate the rules and any variants. Grammar and Punctuation are taught daily from the National Curriculum with class teachers using their knowledge of the children to fill any gaps in their learning. Children are able to put into practice what they have learning in their own writing. Talk to them! The most important thing you can do is talk to your child and listen to them when they are talking to you. Try to extend their vocabulary range and their skill at talking in increasingly more complex sentences. For example, try to teach them alternative words for ideas, or nouns they already know. Listen to you child read every night. Find a quiet time to hear your child read and use lots of praise to encourage them. Encourage your child to record their writing in a variety of ways. They may wish to keep a diary, write or story or send a postcard. Support you child in learning their weekly spellings. Make use of our local library. If a child is not making expected progress within Literacy then they may receive small group or individual intervention sessions. These sessions are planned to meet the needs of the child and progress is regularly monitored. Reading and writing are regularly assessed and you will be notified of your child’s level at each Parents Evening and in the School Report. Formal testing takes place for phonics at the end of Year 1 and reading at the end of Year 2 and Year 6.